A dune in the northern polar region of Mars shows significant changes between two images taken on June 25, 2008 and May 21, 2010 by NASA's Mars Reconnaissance Orbiter. This motion includes landslides and sand advancing at the dune front (upper left); changes in the position of the rest of the dune boundary relative to the fixed, underlying terrain; and changes in the position of ripples on the dune surface. 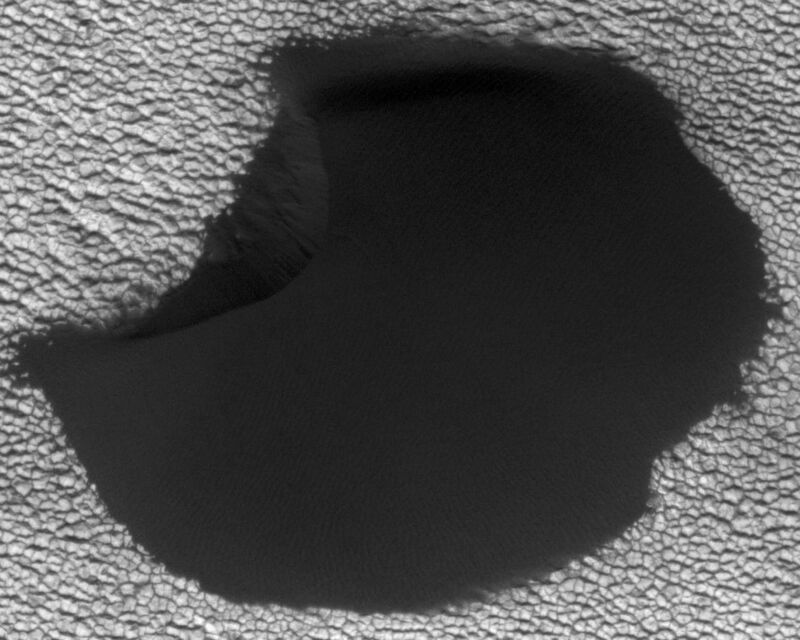 This is one of several sites where the orbiter has observed shifting sand dunes and ripples. 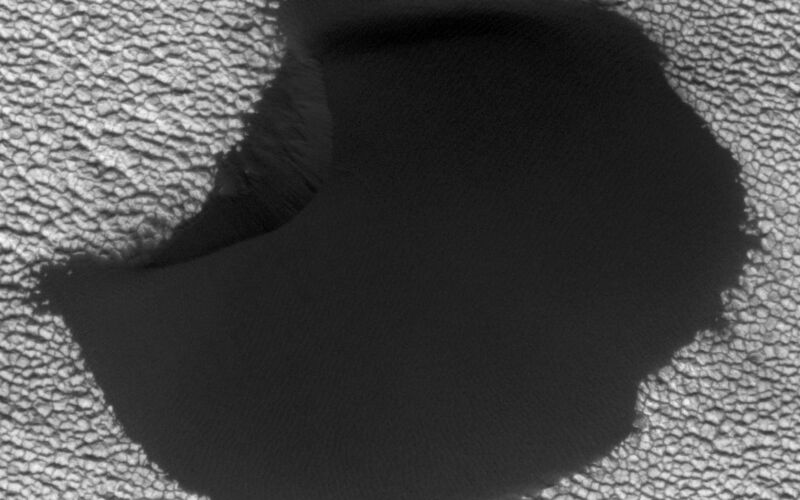 Previously, scientists thought sand on Mars was mostly immobile. 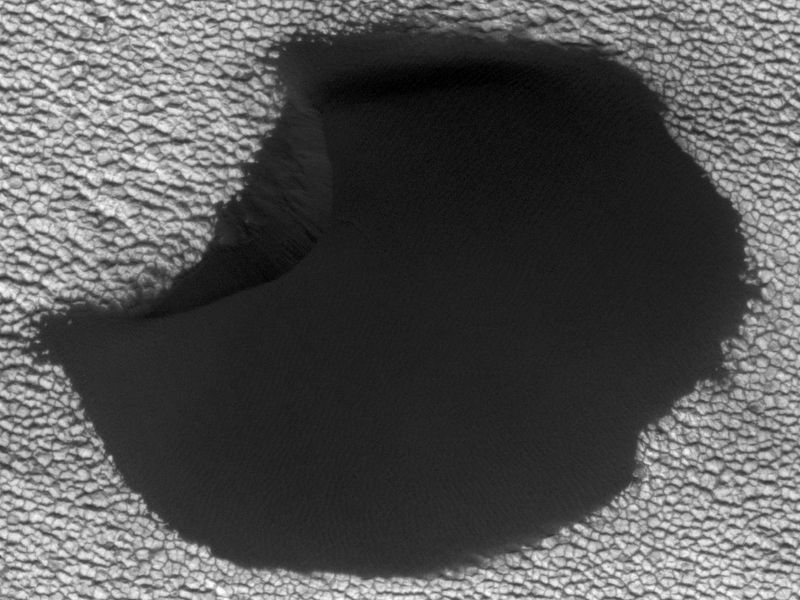 It took the mission's High Resolution Imaging Science Experiment (HiRISE) to take sharp enough images to finally see the movement. While dust is easily blown around the Red Planet, its thin atmosphere means that strong winds are required to move grains of sand. The Mars Reconnaissance Orbiter is managed by NASA's Jet Propulsion Laboratory for NASA's Science Mission Directorate in Washington. The University of Arizona's Lunar and Planetary Laboratory operates HiRISE. The camera was built by Ball Aerospace & Technologies Corp. in Boulder, Colo. Johns Hopkins University Applied Physics Laboratory in Laurel, Md., provided and operates CRISM. JPL is a division of the California Institute of Technology in Pasadena.